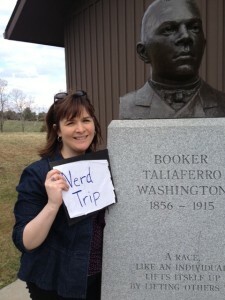 Many people know the name Booker T. Washington, but may not be able to recall why he’s famous. A trip to the Booker T. Washington National Historic Monument will leave you with a lasting impression of a man who overcame amazing hardships to become a founder of the Tuskegee Institute and one of the country’s most influential educators. You’ll find this national park in southwest Virgina, about 22 miles from Roanoke and very close to Smith Mountain Lake, home to my Aunt Viola and Uncle Joe. 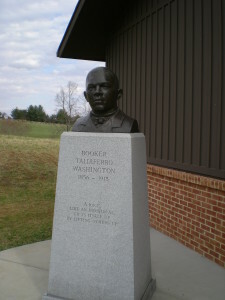 The park sits on the site of the former Burroughs “plantation” (actually, a small tobacco farm) where Booker T. Washington was born into slavery in 1856, an 1861 list of farm slaves reveals a boy named Booker valued at $400. The park does not gloss over the hardships of slave life there, the farm was so small that the Burroughs family worked alongside their slaves. 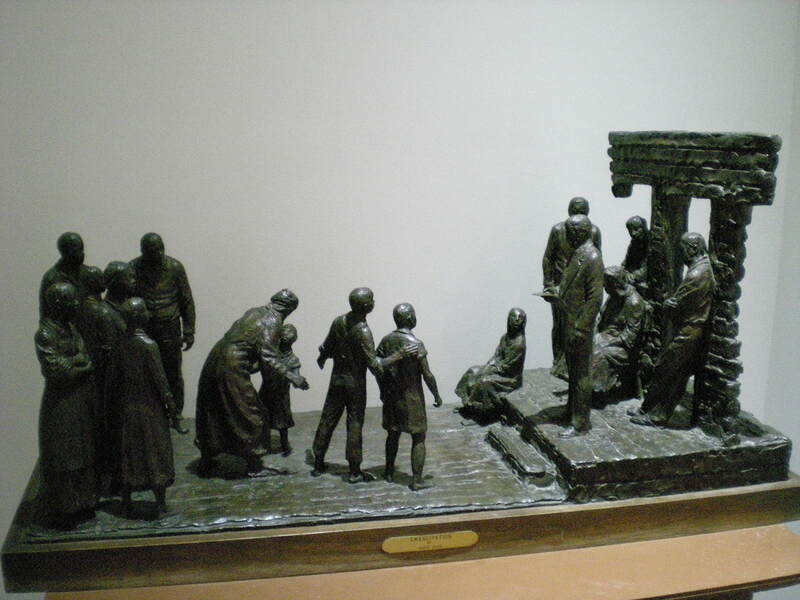 “There was no overseer, and we got to know our master and he to know us,” the park brochure quotes Washington. Washington’s father is believed to be a white man who lived nearby. 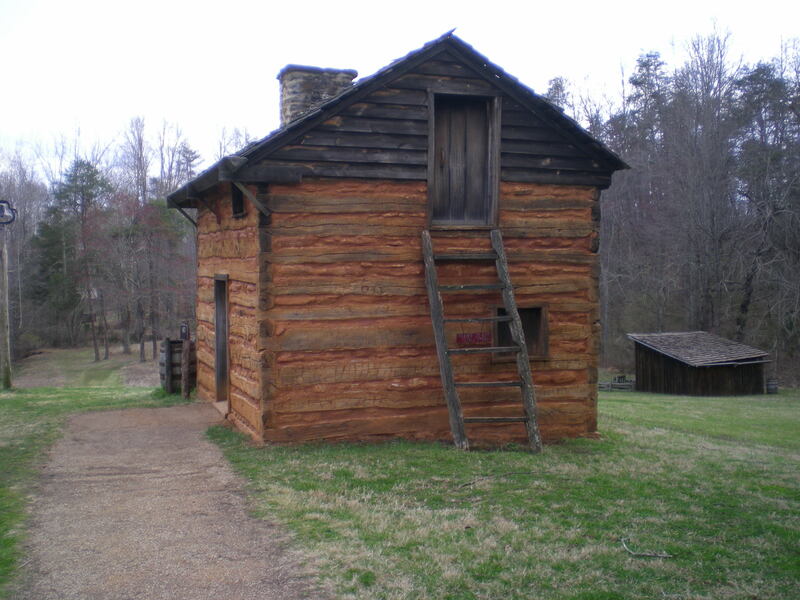 The park’s main attraction is the small, one-room cabin like the one where Washington lived with his siblings and mother, the Burroughs’ cook. The family slept on the dirt floor, and food could be scare. Statue of a young Booker T. Washington. Aunt Viola, Uncle Joe and I started our visit with a short film about Washington’s life and work before touring exhibits in the Visitors Center. 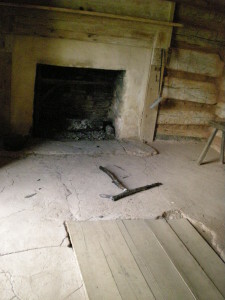 We then headed out to the grounds to see the cabin and several other reconstructed buildings. The Burroughs’ home no longer stands. A running theme throughout the park is Washington’s love of learning and passionate belief in the value of hard work and education. Although he longed to learn, it was illegal to educate slaves, so Washington could only carry the books of the Burroughs’ daughter when he accompanied her to school. A turning point came when Washington was nine, and the Emancipation Proclamation was read at the farm. Although the Emancipation took effect in 1863, Washington did not hear it until April 1865. Can you imagine that moment? 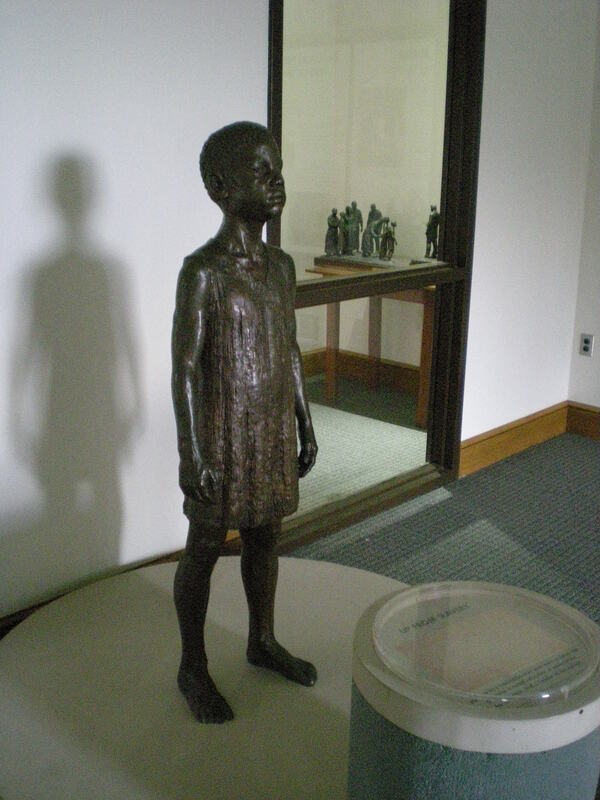 (The story reminds me of the Juneteenth celebration in Texas, where the people there learned of their freedom two months after the end of the Civil War and two-and-half years after the Emancipation). 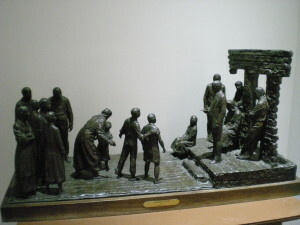 Statue of the reading of the Emancipation Proclamation at the Burroughs’ farm. After the Emancipation, Washington and his family left the farm to join his stepfather in Malden, West Virginia. Determined to get an education, Washington would get up at 4 am to work in the salt mine, so he could go to school later in the day. Several years later, he would traveled 500 miles (including having to walk much of the journey) to enroll at the Hampton Institute, doing menial jobs to pay for his education (I am really, really glossing over the many hardships he endured). Washington later became an instructor at Hampton, and then through his connections there, he became the principal of the new Tuskegee Institute in Alabama at the age of 25 (again, really glossing over the full story). 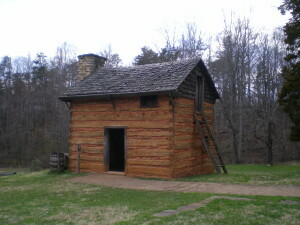 Following the example of his own life, Washington instituted an educational program based self-reliance and hard work. 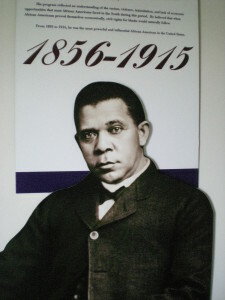 Booker T. Washington became a nationally known orator, writer and educator. But you may be wondering, what does the “T” stand for? We found the answer on this bust outside the Visitors Center. The “T” stands for Talliaferro, commonly pronounced “Tolliver,” a prominent family name in Virginia. Below the bust, there is a famous Washington quote, “A race, like an individual, lifts itself up by lifting others up.” There are many uplifting lessons from the life of Booker T. Washington, and you can learn much more about this inspiring American at his national monument. If you want more information about this historic site itself, check out our On the Map page. Next post: Animal encounters on the farm at the Booker T. Washington National Site. Looks like it was a wonderful nerdtrip! And you wrote it so well!! !